I’ve talked about Kickstarters in previous blogs, but I want to take a moment to talk about the service itself. For years now, board game companies (most notably, GMT) have been using the P500 system for selling their games. The basic idea is that a game’s can be “pre-sold” before they are printed. People can commit to buying the game, and then when enough people commit for the game to be profitable, the payments process and the game is printed and shipped. This is beneficial to the customers because the “just enough” triggering allows for more games to be printed, but it also benefits the publishers by mitigating the risk of publishing. Kickstarter does something similar, but not just for games. The Kickstarter system works for ANY creative project, but offers no guarantee that the project will deliver on its promises. As we saw last year, there is potential for abuse, but most most of the projects out there simply involve people genuinely attempting to get something off the ground. The thing that I like about Kickstarter is that it lets people see if something is going to sell before it is even produced. This in incredibly useful to game designers because there’s so much uncertainty in the marketplace. If you don’t produce enough content to keep up with demand, then you are seen as providing a bad service; produce more content than demand, and you go bankrupt under the weight of your inventory. Kickstarter gives small developers the chance to dip their toe in the pool to see if it even has any water before diving in. If you haven’t been there, then I strongly encourage you to check it out today. But wait! If you are going there, you might as well start with the project being run by a friend of mine. Heather Kreiter is a wonderful artist that I regularly see at gaming convention art shows. She’s produced game-related artwork for collectible card games, book covers and interiors, and a wonderful line of parody artwork called My Little Demon. Heather is currently running a kickstarter project for a line of My Little Demon plushies. I am a huge fan of her work, and I plan to contribute. 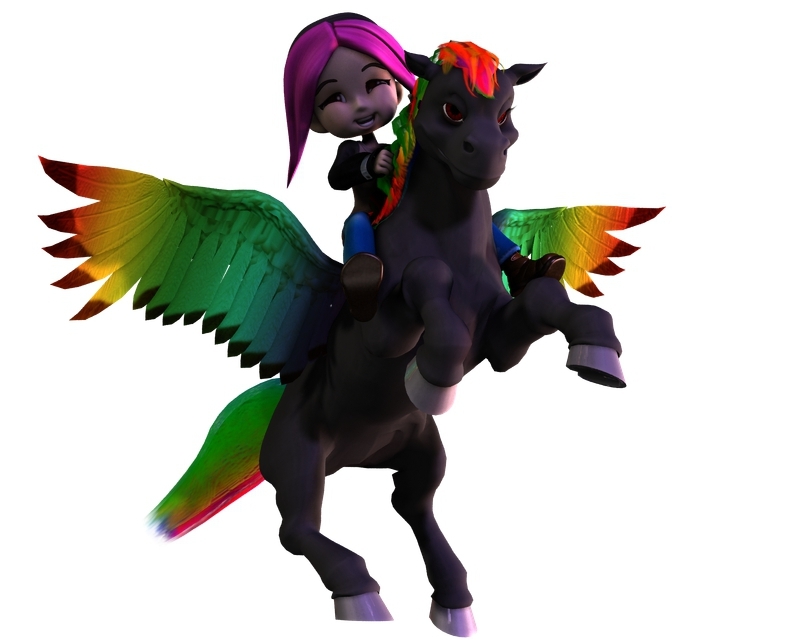 There are only a couple of weeks left, so if you like plushies or My Little _______ (that should say “demon,” not any kind of young horse) get over there and help fund the project today. EDIT: By the way, today’s image is my interpretation of Heather. Click on the image here to see the uncropped version.